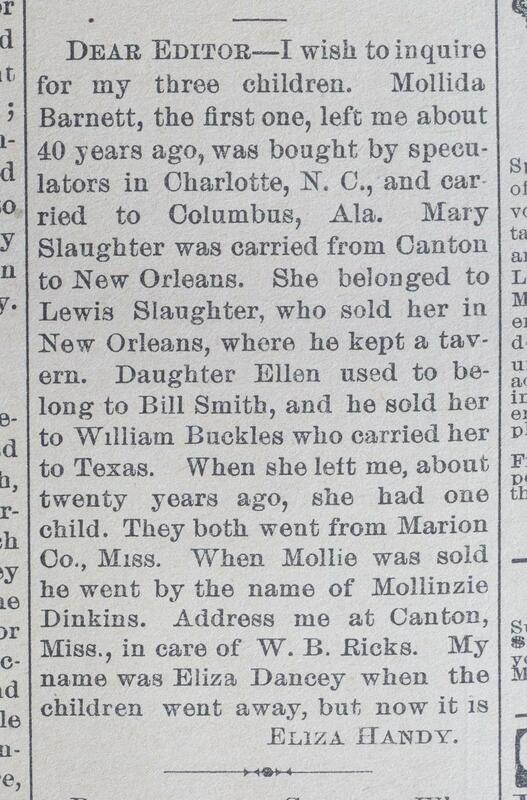 History of slavery: Newspaper ads used to find family after emancipation. After emancipation, many freedpeople used newspaper advertisements to try to contact their family members. 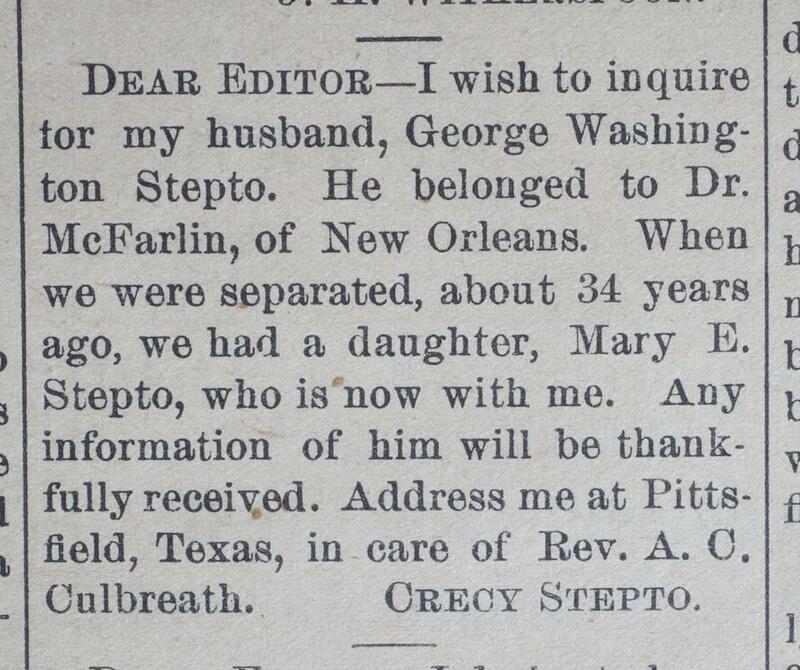 The Historic New Orleans Collection has made available a digital collection of more than 300 “Lost Friends” advertisements that appeared in the city’s Methodist Southwestern Christian Advocate newspaper between November 1879 and December 1880. The collection is searchable by name or location, but you can also browse advertisements at random. Some agents of the Freedmen’s Bureau did work to help people find family, but there were many obstacles to the project, including a lack of financial resources to conduct searches and the scanty documentation kept by slave traders. The result was that many people were unable to reunite and placed newspaper ads for years after the end of the war—sometimes seeking relatives they hadn’t seen in decades. Southwestern Christian Advocate, Jan. 1, 1880. Historic New Orleans Collection/Hill Memorial Library, Louisiana State University Libraries. Southwestern Christian Advocate, Sept. 10, 1880. 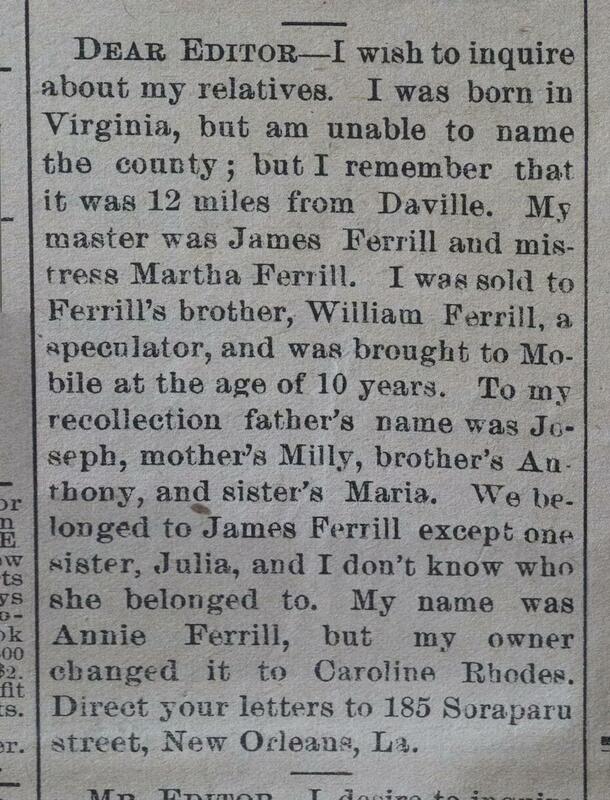 This advertisement shows how the prerogative of slaveholders, which allowed them to name and rename people at will, made it even harder to find separated relatives. Southwestern Christian Advocate, Dec. 11, 1879. 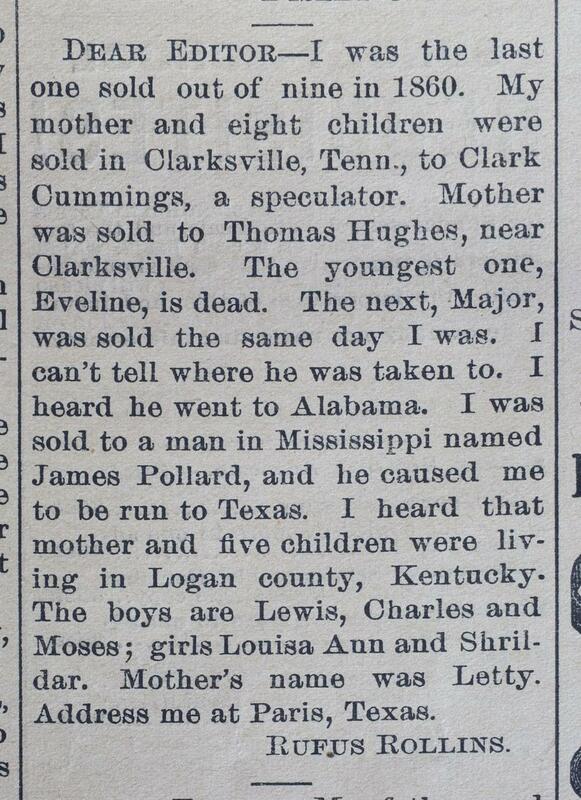 Southwestern Christian Advocate, May 27, 1880. Southwestern Christian Advocate, May 6, 1880. Rufus Rollins’ ad tells of a family separation that took place right before the war. He writes that he was “run to Texas”—an expression that might refer to the practice of “refugeeing” enslaved people during the war, or removing them to places far away from the reach of the Union Army. 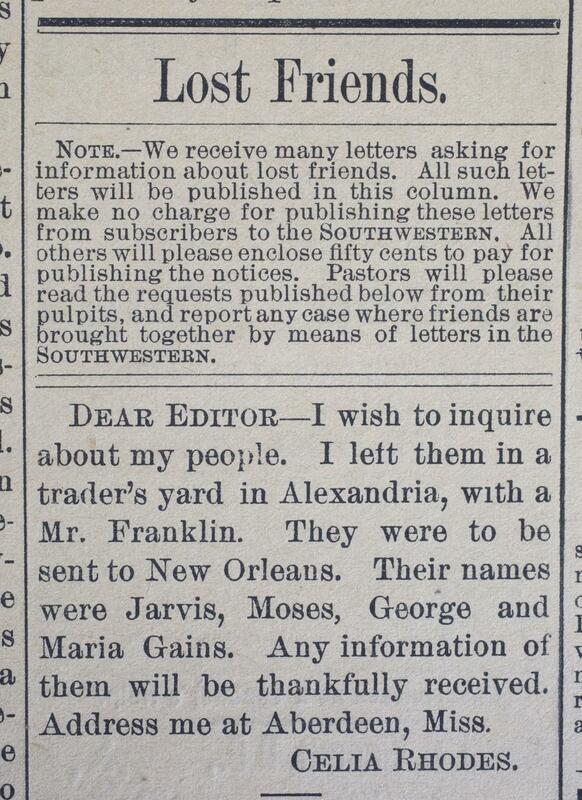 Southwestern Christian Advocate, July 22, 1880.